6:00 a.m. - 9:59 a.m.
104-5 The Zone’s midday tradition accelerates your work day! Titans Radio’s Jonathan Hutton, Chad Withrow and Rutgers Prep Hall of Famer Paul Kuharsky bring you the best interviews from biggest news makers and more opinion, attitude and perspective than your lunch box can hold. Like Midday 180 on Facebook and follow Midday 180 on Twitter @Midday180 and Instagram @Midday180. The Midday 180 is Served Up by Wendy’s! Now get more great offers from Wendy’s when you download the Wendy’s app today at Wendys.com. 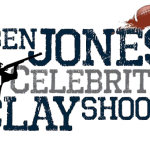 A 14-year veteran of Tennessee Titans coverage in the mid-south, Morrison native Jonathan Hutton officially joined 104.5 The Zone as co-host of The Midday 180 in January of 2012. 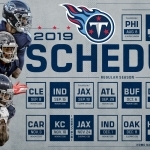 Along with hosting a sports talk show each weekday from 10am-2pm, Hutton serves as the Sideline Reporter for the Tennessee Titans Radio Network, working with Mike Keith, Frank Wycheck and Rhett Bryan to provide Titans fans with insight and news from the field every Sunday. He also leads the postgame efforts in the locker room, interviewing Titans players after every win or loss. 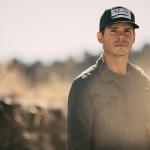 Before joining The Midday 180, Hutton previously worked seven seasons as Network Producer for Titans Radio, starting in the summer of 2005 as a participant in the network’s Internship program. He quickly showed an ability to go beyond the obvious stories and exhibited a knack for interviewing, which would help earn him Nashville’s “Best Sports Reporter In Radio” Award in 2010. Jonathan is television play-by-play voice for the TSSAA State Football and Basketball Championships, as well as a freelance sports anchor for WTVF-TV NewsChannel5. 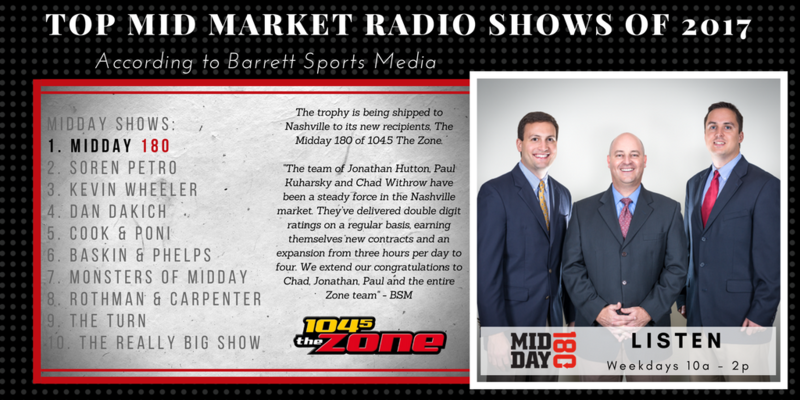 Chad Withrow has spent the last 7 years with 104-5 The Zone, and is part of The Midday 180. Born and raised in Mt. Juliet, TN, Chad knew he wanted to work in sports at a very young age. Chad is known for his common sense approach to sports talk and his in depth knowledge of University of Tennessee and SEC sports as well as being one of the state’s top High School football voices. 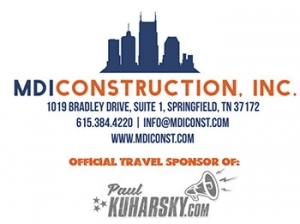 Paul Kuharsky is an award-winning writer who has covered the NFL for over 20 years in California, Texas, and Tennessee. He spent the last nine years helping build ESPN.com’s NFL Nation covering the AFC South and then the Tennessee Titans. He earned his undergraduate degree from Columbia University in 1991 and his master’s degree from Columbia University’s Graduate School of Journalism in 1993. In 1996, Kuharsky joined The Tennessean to chronicle the final season of the Houston Oilers and the franchise’s relocation to Nashville. He covered the Oilers/Titans and the league and wrote enterprise pieces for the paper for a dozen years before joining ESPN.com. 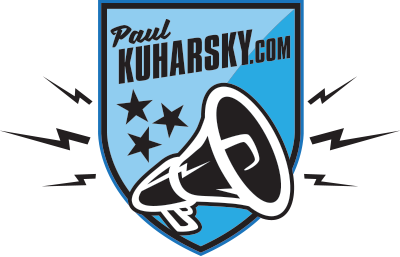 When ESPN.com expanded NFL Nation in 2013, Kuharsky’s focus moved exclusively to the Tennessee Titans. Kuharsky became a selector for the Pro Football Hall of Fame in 2016. Born in Cleveland, he earned $200 for his work as an extra in the wedding and reception scenes of The Deer Hunter. Kuharsky grew up in South River, N.J., and now lives in Brentwood, Tenn., with his wife and young son, who bats left, throws right and loves taking corner kicks. A land-locked beach lover, Kuharsky loves the New York Yankees, the U.S. National Soccer Team and the work of Richard Russo and Bruce Springsteen. 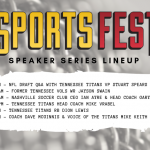 The full 10th Annual SportsFest featuring Music City Blitz Speaker Series Lineup and Times announced! 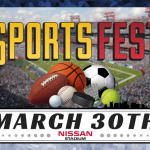 The 10th Annual SportsFest Speaker Series presented by Busy Bee HVAC will start at 9:30am at Nissan Stadium this Saturday, March 30th. Get Your Choose To Include T-Shirt at SportsFest! 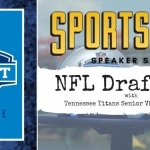 1045 The Zone has teamed up with Project 615 this year for our 10th Annual SportsFest featuring Music City Blitz to help support Special Olympics Tennessee! In honor of Special Olympics’ 50th Anniversary and the five-year Choose To Include Campaign, we will be selling these t-shirts to help raise money for our local friends at Special Olympics Tennessee. 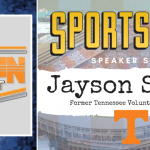 Former Tennessee Volunteers WR Jayson Swain to Speak at the 10th Annual SportsFest! 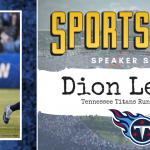 Titans RB Dion Lewis to Speak at the 10th Annual SportsFest!